Looking for an acoustic solution which serves a purpose while also looking the part in your office, restaurant or education spaces? The AgileSCREEN/Gates is it! 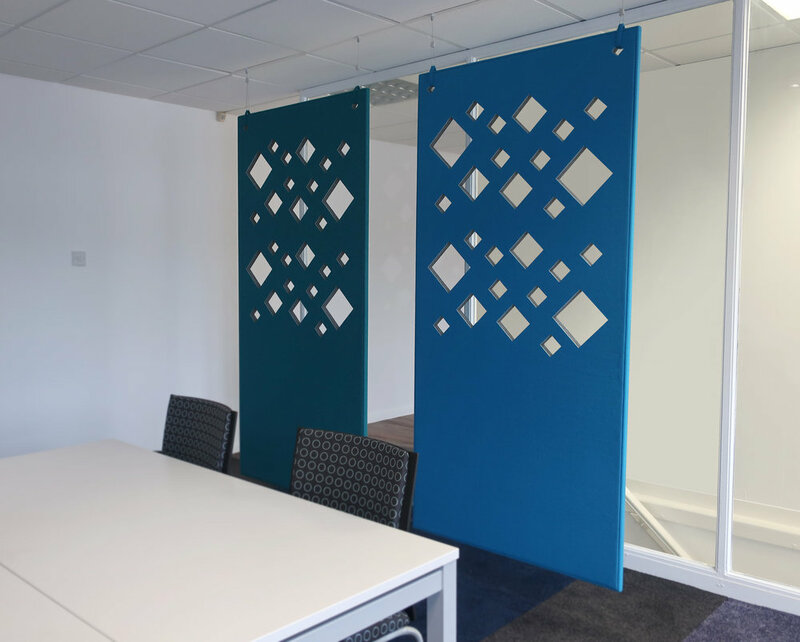 It can be manufactured in a host of colours – using a beautiful range of wool from long-standing textiles brand, Abraham Moon & Sons – the AgileSCREEN/Gates is also available in a striking collection of designs. Made to complement your space, it can be crafted in any size, too – and it’s as practical as it is aesthetically-pleasing. 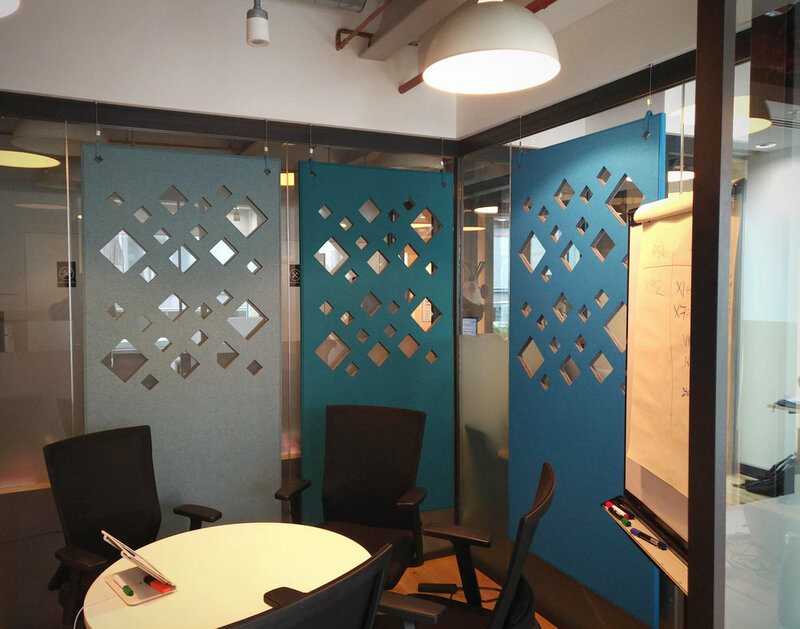 Liven up your corporate or hospitality premises with a unique acoustic solution, which can incorporate diamonds, squares, leaves – even speech bubbles or marks. Designed to work in open spaces, the cut-out holes you see in the screens provide a light and ‘open’ ambience to a room, without compromising its acoustic performance. Installation is simple and swift and these innovative pieces are stitched by hand. With a standard size of 2000 x 950mm, custom shapes and designs are also on offer. Allow us to transform your space with this pioneering solution; simply get in touch with our team to learn more.